During our revisit of the one and only Talk Show album featuring the three guys not named Scott Weiland from Stone Temple Pilots during their infamous 1997 hiatus, we remarked how the music remained steady but the vocals and melodies were less interesting. 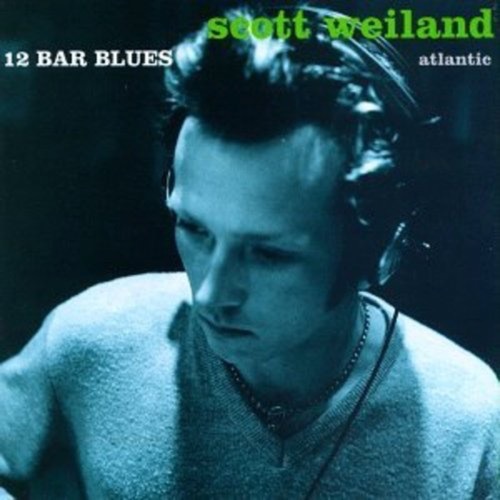 Now we get to examine the other side of that temporary split with Weiland's 1998 solo debut 12 Bar Blues. Would the lack of the DeLeo brothers inventive riffing similarly hamper the lead singers creative output? The simple answer is no, thanks to Weiland's willingness to experiment, filling the record with interesting sounds and surrounding himself with accomplished musicians. It is an admirable, if occasionally messy, attempt to shatter the perceptions of what it meant to be "the lead singer of Stone Temple Pilots," but more often than not, the influences start to show. Sadly, this left us wondering if the lukewarm critical reception, albums sales and radio play pushed Weiland back into the easy embrace of Stone Temple Pilots too quickly, who churned out successive radio friendly if bland riffage that palled to their prime-era output. Weiland never pushed the envelope like he did on this record, and we try to figure out why.